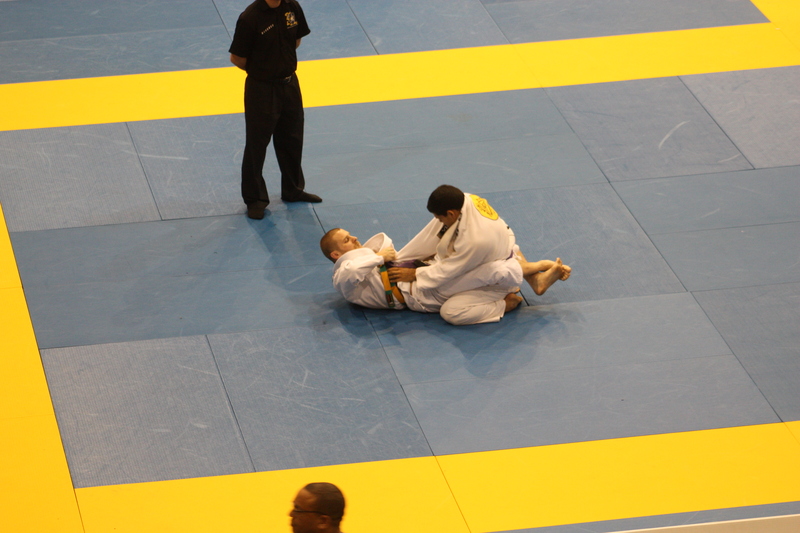 Friday afternoon, we returned to the Bren Center for the Adult Purple Belt divisions. The Purple Belts at the Pan are always very competitive and entertaining to watch. 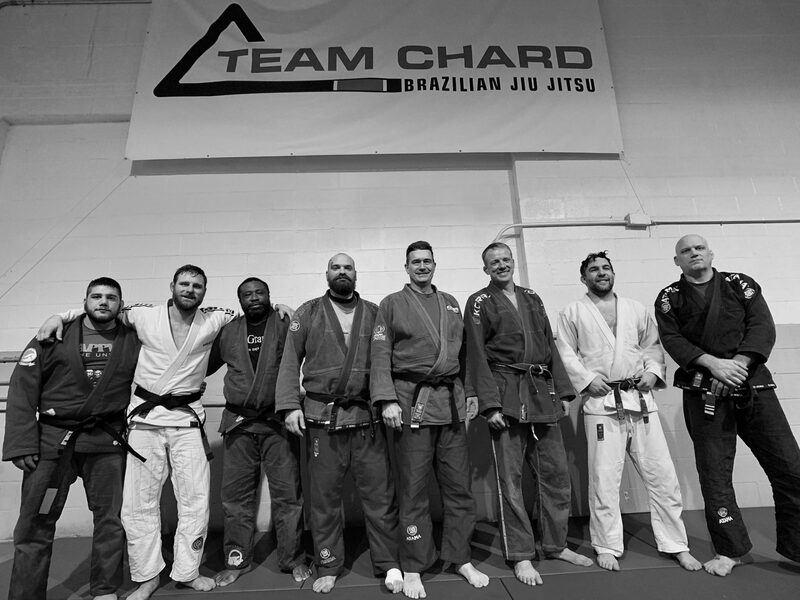 Jon Bobel was up for Team Chard in the medium heavy weight division (194 lbs). After his Gi and weight check in, he was escorted to the mat for his match. Jon pulled guard very quickly and tried to work a variety of sweeps. His opponent had a very good base and wasn’t budging. Methodically, his opponent made his way into Jon’s half guard, then passed the guard to go ahead 3-0. But, Jon was able to replace his guard and secure a triangle. But time was not on his side as he could not sink the submission in before time expired. Saturday is our last day for competition as Tim Lehman is up in the Masters (age 30-35) Purple Belt division.